Ideal for beginners and intermediates with wide reds and blues, open and sunny at the top of the valley. 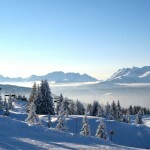 The two areas together are known as La Balme. 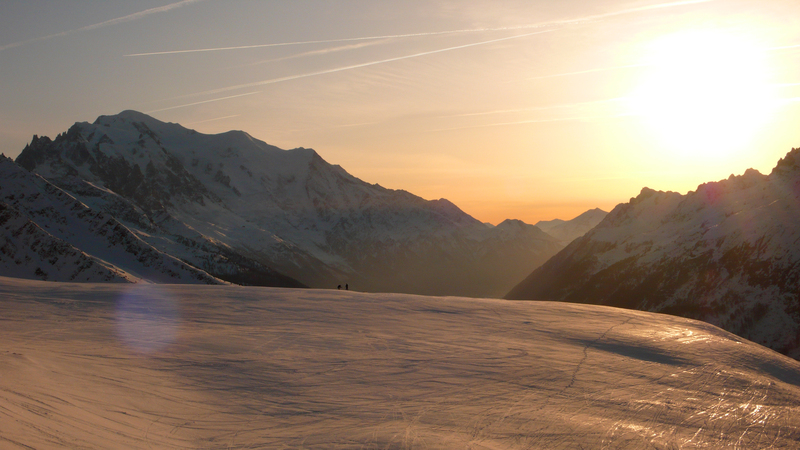 Le Tour has exhilarating rolling pistes of the front and the wide gullies here form natural halfpipes. Ride next to the Swiss border and down to Vallorcine for some great tree runs – another good spot when the visibility is down. Vallorcine is generally much quieter than the other areas, so it’s a good place to head for on busy days. 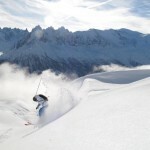 It is quite a drive so it’s best to check on the Chamonix site or app that it’s open, if the weather is at all chancy. When not to go: Le Tour can get very windy and cold, so it’s a good idea to check for strong winds before heading up. 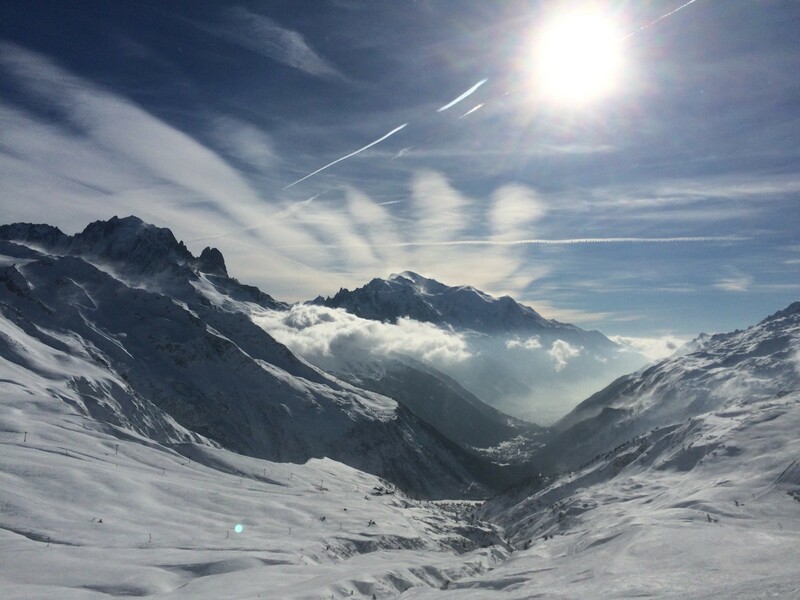 The wide, open pistes can be very disorientating in a white-out – I would generally keep Le Tour for sunny days. The Vallorcine side has tree runs which are a better option in thick snow. There are two excellent options at the Vallorcine base – I’ve eaten often at both and highly recommend them. Booking is advised if not essential at busy times for either of these. The unassuming looking station cafe – the Arrete Bougnete – is in fact a superb place to eat, with lots of unusual Savoyarde specialities like Sarrazin (Buckwheat) crepes, the marsala-baked cheese of Le Berthoud as well as an excellent tartiflette. The Cafe Comptoir at the end of the Vallorcine home run is very nice indeed, friendly and delicious, with a sunny terrace for lunch. Lovely attention to detail here, in the building, the service and the food, and for me it slightly has the edge over the other. They also do Raclette sandwiches for lunch! Le Tour has some good choices too. Just above the base are the stone huts of Les Ecuries, which are lovely, especially on a sunny day when you can sit on the terrace. It’s friendly, and the food is very good here – they do the local potato ‘beignets’ as accompaniments. 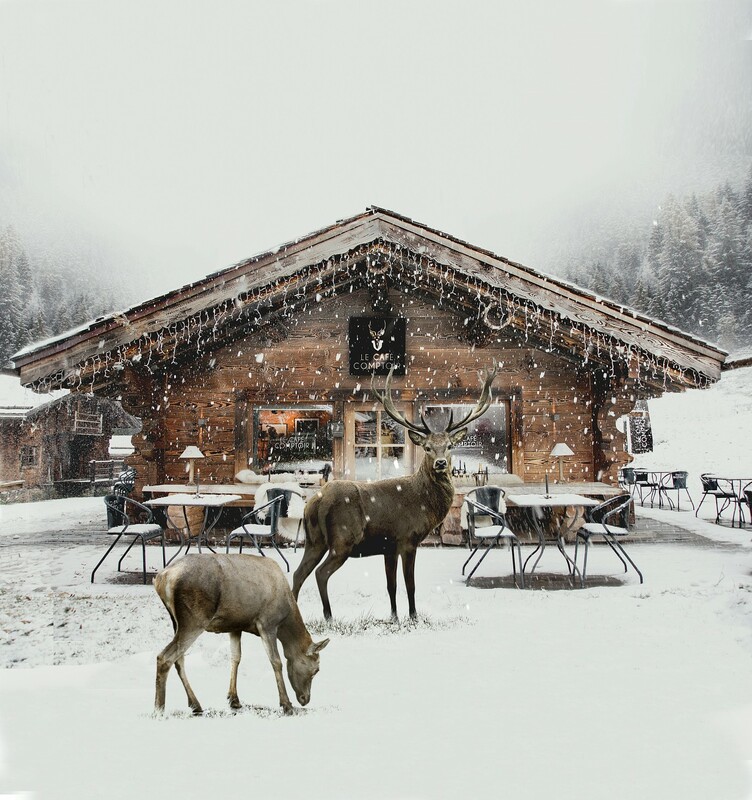 At the base, the Passon, the second bar below the lift, is the best choice – simple good food and friendly owners. The mid-station is rather sterile, serving the usual lift company food, but can be a useful option if you just need a quick sandwich or drink in a hurry. By train: Regular train services from Les Praz, this is the best way to get there. Take a timetable with you for the return journey.